Since I've already begun speaking of fall, cooler temps and the upcoming holidays, I figure I might as well keep on going! 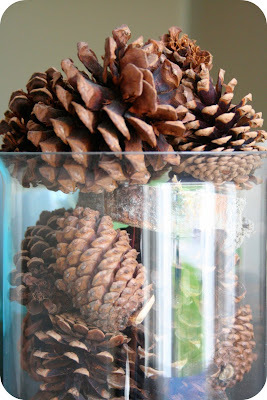 Every year I always get excited when the stores stock scented pine cones on their shelves. I can't wait to get my hands on them and to place them neatly in a lovely bowl near our front door. Their scent just screams holiday, festivities, joy and happiness (yes, all of that from a bowl of scented pine cones). I am thinking that this year, the kiddos and I should make our own. 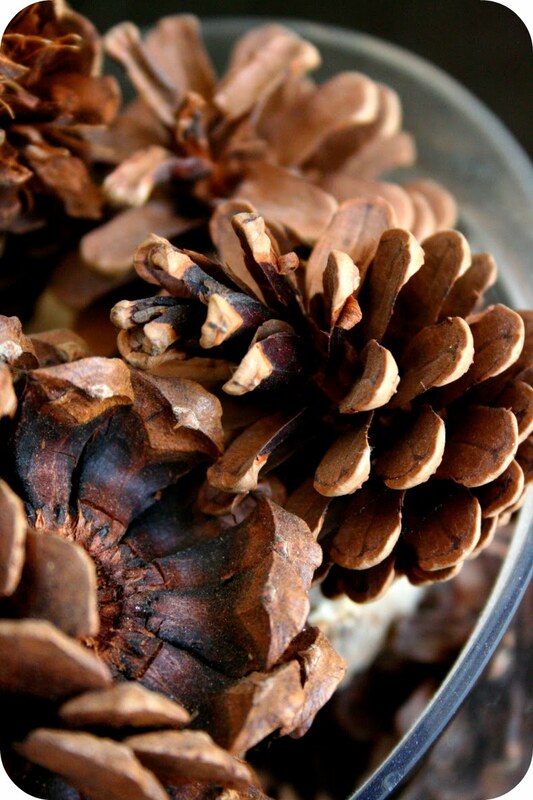 The boys absolutely LOVE picking up pine cones when we are out on walks as a gift for mum. 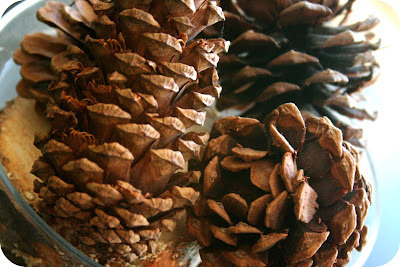 At first, I couldn't figure out why they chose pine cones as my gift, but then I realized that if you look around our house, there are bowls of pine cones in a few of the rooms. 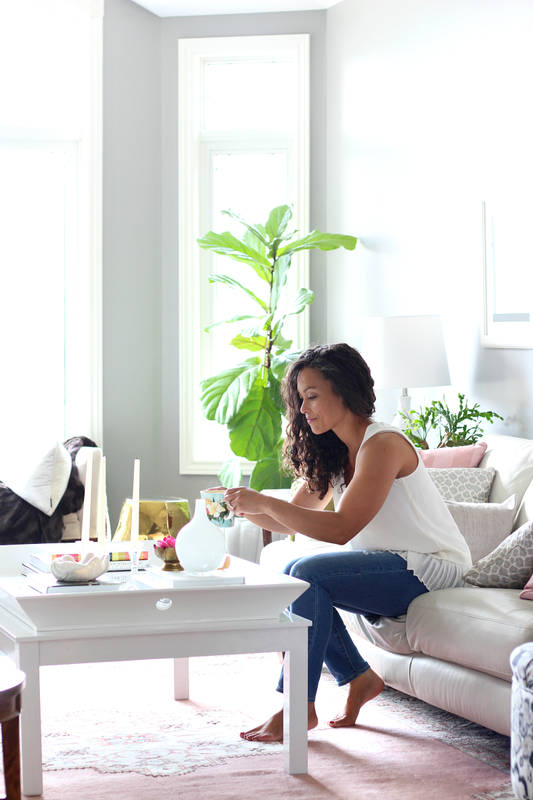 Even though the smell doesn't last all year round, I still love the look of them stacked in a tall glass vase, or placing them in a silver coin bowl on a side table. I've been looking around online, scouring recipes, and as I thought, many of them simply say to use cinnamon. While looking for these recipes, I discovered some other brilliant ways to display these lovely smelling holiday decorations and I wanted to share them with you! what a great way to use your old, broken crayons! eco-friendly holiday style! I'll be sure to post some pictures of our project once complete!